This Textbroker review is best suited for beginning freelance writers. 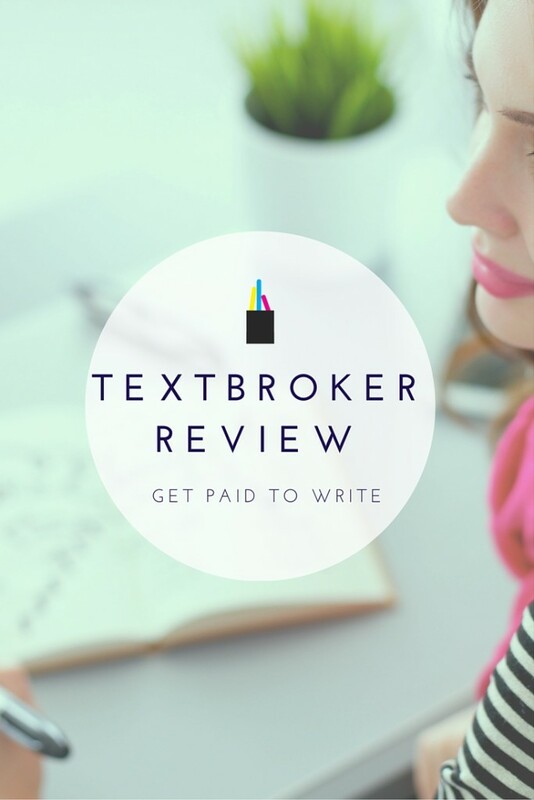 When I first started researching freelance writing opportunities, Textbroker was a company I continually came across as it was highly rated by clients and authors alike. Now that I’ve had some experience writing for them, my personal Textbroker review is one of overwhelmingly positive experiences. I would not hesitate to recommend this site to anyone. Textbroker is an online content firm or ‘content mill’ as it is commonly referred. If you’ve always enjoyed writing, but thought it was impossible to get paid to write without experience, think again. Textbroker provides writing opportunities for freelance writers with all experience levels, beginners too! 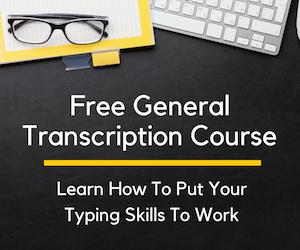 Depending on your skill level, you’ll be able to write for a certain set of jobs. But don’t worry, your work is continually reviewed and as your writing gets better, you’ll be given the opportunity to make more money with each article you write. Textbroker is a content mill. If you’ve never heard the term before, it means Textbroker’s clients pay to have articles written and Textbroker offers these jobs to writers at a fixed rate. In Textbroker’s case, they pay by the word. The client pays Textbroker and Textbroker pays the writer (after Textbroker takes their cut, of course). Essentially, Textbroker is the middleman. They bring together content writers with companies who need content. They make their money by taking a percentage of what the client pays and the writer gets the rest. You can get started working for Textbroker in just a few steps. When I signed up for Textbroker, I was able to do so easily enough. The hardest part was the wait! It took just four days to get approved to begin taking paid writing assignments, but when you’re eager to get started, even four days can seem long! Once you do, you’ll get a confirmation email directing you to confirm and activate your account. After that you’ll be able to log in. A Textbroker review would not be complete without discussing a unique step in their registration process: confirming your citizenship. Before you can begin writing for them, you’ll need to submit a copy of a government-issued ID showing that you are a U.S. citizen or permanent resident. When I went through this process, I was a little leery. I never like to just hand out personal information online whether or not it’s for money-making purposes. But as it turns out, this is standard for all of Textbroker’s new hires. In order to write for textbroker.com, you must be a US citizen or permanent resident who is at least 18 years of age. Due to an influx of non-US citizens who have tried to sign up, we are now requiring a valid government-issued photo ID from all new authors, such as a state-issued driver’s license or ID card, US passport, permanent resident card, or military ID. The email gives you options on how to submit it (email, fax, snail mail) and also lets you know that you may block out the ID number to help safeguard your identity. Feeling reassured, I went through with it. I have no reason to believe my information was ever or will ever be compromised in any way. I chose to email a scanned copy of my license (with the number blocked out) to Textbroker. About four hours later I was sent a confirmation letting me know it was received and I was green lighted to continue on with the signup process. Note: If you’re not willing to provide Textbroker with a copy of your ID, license, passport, permanent resident card, etc., then you won’t be able to begin writing for them. There’s no way around it. If you want to write for them, you absolutely must provide proof of citizenship. Once your registration is complete, you’ll move on to writing your sample. Textbroker was the very first site I signed up for when I wanted to start writing for money. When it came time to write a sample, I was a little anxious. A Textbroker editor will read your sample and rate it from a scale of 2 to 5. The rating you’re assigned will determine your pay rate and which articles you’ll be able to write. For example, if you’re given an initial author rating of 2, you’ll only be able to write Level 2 Articles. This greatly limits the number of articles available to you. However, if your initial author rating is a 4, you’ll be able to write Level 2, Level 3, and Level 4 articles which means way more articles to choose from and more money too. Essentially, your sample article will determine your beginning pay rate and the number of jobs available to you. No pressure, right? I didn’t want to write something that netted me a poor review resulting in lower pay and limited access to articles. That certainly was not the tone I wanted to set for my budding writing career. This anxiety led me to spend more time than I normally would for a 300-word article. But it paid off. My article was reviewed and I was given a Level 4 author rating. Whew. And trust me when I say, you too can write a sample that earns you a Level 4 review. What do you write about? You’ll be given a list of topics and you’ll have to select one — if you want to score higher, you should select the topic you’re most comfortable with. Once you’ve registered, confirmed your citizenship, and been given an initial author rating based on your sample writing, you’re ready to begin writing! But if you’d like to get paid for your work, you’re going to need to fill out tax forms. Why? In order to pay you your money, we are required by the IRS to ask you for a W-9. This form confirms that you are a US person (citizen or resident) and subject to US tax rules. This is a completely normal verification process that serious companies ask of their contractors. As soon as we have your signed and dated W-9, we can process your pay-off requests. To expedite processing, please include your e-mail address or Author ID in the box “List account number(s) here (optional).” The process is quick and confidential. You can either send the form in via regular mail or fax it on over. At this time, you cannot email it to them. However, I submitted mine without problem via an online faxing service like MyFax.com. You just fill it out, scan it, save it and send it. It takes a business day or two to process your form once they receive it. And when they do, you’ll get a confirmation letting you know everything was verified. At Textbroker, your work will be continually rated by Textbroker’s editors. Your star rating will be the average rating of your five most recent articles. This is really important. Your star rating will dictate what work is available to you and what your pay rate will be. You’ll want to try to write five-star articles each and every time. And trust me, the pay rate differences are great enough that you really do want to shoot for that five-star rating. Textbroker’s star system acts as a bit of an incentive program for all their writers to contribute articles at a five-star level. After all, wouldn’t you rather make 5.0 cents per word versus 0.7 cents per word? The good news is, you’ll receive feedback on how to improve your writing. Plus, Textbroker provides a guide of sorts on how exactly they go about rating their writers. This gives you a greater opportunity to improve and hopefully earn $0.05 cents per word! As an author for Textbroker, you’ll be able to fill out a profile. Your profile is made public to only registered clients and Textbroker employees. It’s a good idea to fill it out in full and take some time doing so. The information in your profile can lead to direct orders. Clients can perform author searches and the information you provide in your profile can lead these clients right to you. That’s a good thing. 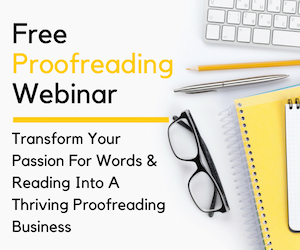 If a client sends you a direct order, you’ll notice that the pay is greater than the standard per word rate. For example, while a four-star author makes 1.7 cents/word on open orders, a direct order can result in 3-5 cents/word pay! So having detailed information about you and your areas of expertise in your profile is a great (and easy) way to make more money writing for Textbroker. While direct orders are a great way to make more money, you’ll likely find that open orders are the most common types of jobs you’ll be working on. When you log into your Textbroker account, you’ll be able to click on the “Assignment” tab to see all orders available at any given time. These are known as open orders. The open orders are broken down by categories and star rating. For example, as I check the open orders page right now, I can see that there are 149 “Shopping” articles available for authors with a minimum 4-star rating. There’s 45 “Movie” articles available for authors with a minimum 2-star rating. There are over a thousand articles available at this moment. Each one is in a category and tells you what the minimum star rating is you’ll need to have to accept it. So if you’re a 3-star-rated author, you’ll be able to write 2 and 3-star articles. If your a 5-star author, you’ll be able to write 2, 3, 4, and 5-star articles. From the open orders dashboard, you’ll be able to view the particular requirements of each available article. For example, when I click on the 149 “Shopping” articles, I’m able to see them all and their associated keyword, deadline, number of required words, and possible earnings. I say possible earnings because articles are given a word count range. You might see an article that needs to be between 400 to 480 words. If you were a four-star author, you could make between $5.60 and $6.72 depending on the final word count. Most authors will choose to max out the word count in order to make the highest rate possible on the article. You can then click on each individual article to read the client’s instructions. This will typically include the keyword that needs to be used, the required keyword density (the number of times it needs to appear in the article) and any specifics on headings, title, and links that need to be included. What’s great about Textbroker’s dashboard is that while you’re viewing an open order, no other authors can view it. You’ll have ten minutes total to decide whether or not you want to accept that order. I think this is great. It allows you to thoroughly read through the assignment and decide whether something is a good fit for you without feeling rushed or that another author might swoop in and claim an article out from under you. If you like what you see, you can click on the “I want to write this article” button. If not, you can go back and view other open orders until you find something you would like to write. Yet another way to earn money through Textbroker are team orders. You must apply in order to be accepted into teams. In order to apply, you’ll need to be a four or five-star author. Casting Call Teams are those which are open to all four and five-star authors. As I type this, there are 1,190 Casting Call Teams available! Team orders are great because you can leverage your experience, expertise and knowledge in certain fields to make more money. And since teams are subject based, you can write articles in areas that you know well and interest you. There are a variety of teams like health writers, social networking, and education just to name a few. If you’ve got the know-how and meet the specific requirements expected of authors on these teams, you’re encouraged to apply. Like direct orders, you can make pretty decent earnings when writing articles as part of a team. You may also be invited to join specific teams. Invite-only teams are based on your previous work and the information in your profile. Again, this is a good reason to make sure your profile is current and highlights your areas of expertise. The information in your profile can lead to direct orders and team invites. Now that you know how to make money on Textbroker, you’d probably like to know how to get paid. It’s pretty straightforward. You can request your earnings once a week as long as you’ve met the minimum $10.00 payout. Money is payed via PayPal. That’s it. Remember, as an independent contractor, you’re in charge of paying taxes on the money you earn. Textbroker does not withhold federal income taxes from your earnings. Although this Textbroker review is geared towards beginners, it’s still a great site to hang onto even after you’ve gained a little experience. I’ve found even when things are slow elsewhere or when extra income is welcome, say around the holidays, Textbroker always has work available. Plus, if you keep a four or five-star rating and have a strong profile, you might just find direct orders and team invites filling your inbox. These can actually be quite lucrative! The bottom line? Trying to keep this Textbroker review as unbiased as possible, I really can’t say too many bad things. I’ve had success writing for them. It’s pretty straightforward. And your rate of pay is determined by your skill rather than experience. So even someone who’s never written professionally a day in their life can still earn their highest pay rates. If you’re new to freelance writing (or even a veteran) Textbroker is a great place to find varied and steady work. Are you currently or formerly a Textbroker author? I’d love to hear your thoughts and experiences. Please share them in the comments below! If you like the idea of becoming a freelance writer but just can’t get behind the idea of writing for a content mill — no problem! It’s certainly not for everyone. 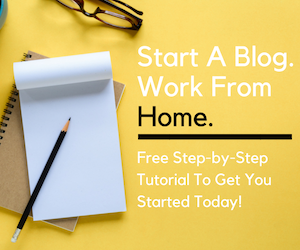 Launching your own freelance writing career with no experience is completely attainable (without having to write for Textbroker or similar sites!). Just ask mother to twins, Elna Cain. She started a freelance writing career from scratch and is now a successful writer. Check out her self-paced ecourse, Write Your Way to Your First 1K, where you can learn how to become a paid writer and earn your first $1,000. Loved the article but I’m not an U.S. citizen (Born and raised in Canada) so I was wondering if you had any similar programs for people of other countries, or programs that don’t care about citizenship. why is it for u.s citizens alone,i think you guys should make it global.Thank you. Hi, there! I love this article, it’s the reason I decided to give Textbroker a try. I’ve been verified, but they’re waiting on my writing sample. I can’t find a place on their site to submit it. I’m pretty puzzled. Do I email it to them? Thanks! After you register as an author, you have to activate your account. You will receive an email from Textbroker with activation instructions. Did you receive this email? If not, check your spam folder. It may have ended up in there. Hi Ashlee, is there any way of accessing examples of articles that have been written by authors for Textbroker? Textbroker is a terrible choice for any new writer. We all had to start somewhere, but even beginners can find mills that pay much more money with editors who are not obsessed with their own sense of self-importance.